Added on November 4, 2017 by J.D. Magers. The Adams County Regional Park was two miles from my house, and was a good turning around spot when I would go for a run. 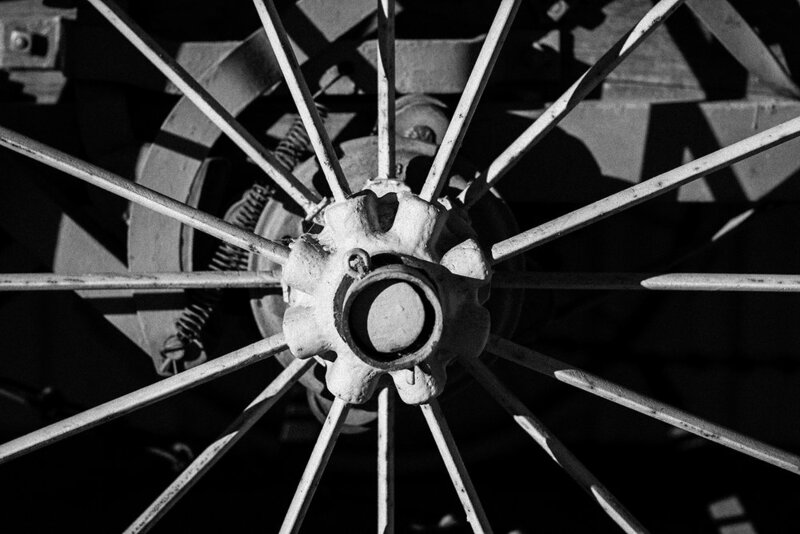 The park had kind of a museum with Western relics, including an old wagon and a railroad car. Just before sunset was a great time to look at these relics because they were south facing and got beat up by the sun all day for years. The side light from sunset light really brought out the textures in the peeling paint. And the shadows look good in black and white.